2091, Hubcap COPY [RIM], 16", COPY OF CHRYSLER RIM. CHROME 15 SPOKE UNIVERSAL. $65 SET. 2091, HUBCAP COPY [RIM], 17", COPY OF CHRYSLER RIM. CHROME 15 SPOKE UNIVERSAL. 2091, HUBCAP COPY [RIM], 17", COPY OF CHRYSLER RIM. CHROME 15 SPOKE UNIVERSAL. Hubcap copies are a low cost alternative to original equipment hubcaps -or rims. Use steel wheels with these copies! 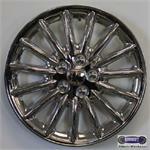 2091,15" Hubcap COPY OF CHRYSLER RIM, CHROME 15- SPOKE UNIVERSAL.Fits most 15" Steel Wheels. 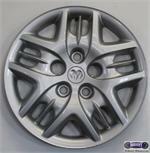 Hubcap copies are a low cost alternative to original equipment hubcaps -or rims. 2091a, Used Rims, 16X7, 5 LUGS, 4-1/2", 98-01, CHRYSLER, DODGE, 300M, LHS, CONCORDE, INTREPID, SILVER, 15 SPOKE, ALLOY. 2091b, Used Rims, 16X7, 5 LUG, 4-1/2", 98-01, CHRYSLER, 300M, LHS, CONCORDE, INTREPID, 15 SPOKE, CHROME, ALLOY. 2107b Used Rims, 16X6-1/2, 5 LUG, 4-1/2", 99-00, CHRYSLER, TOWN & COUNTRY, CHROME FINISH, 15 SPOKE, ALLOY. 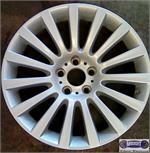 2277, Used Rims, 17X6, 5 LUG, 100mm, 06-08, CHRYSLER, PT CRUISER, 15 SPOKE, CHROME CLAD, ALLOY. 3582, Used Rims, 18X7, 5 LUG, 4-1/2", 05-07, MERC, MONTEGO, ALUM, 15 SPOKE MACHINED FINISH . 4123, Hubcap used, 16", 95-97, OLDS, CUTLASS, SUPREME, PAINTED SPARKLE SILVER, 15 SPOKE, HELD ON BY DARK GRAY, LUG NUT RETAINING CAPS . 5476, USED RIM, 17X7, 5 LUG, 105MM, 11-12, CHEV, CRUZE, ALUM, POLISHED 15 SPOKE. OPT RTN. 55059, Hubcap USED, 15", 03-07, HONDA, ACCORD, SILVER, 15 SPOKE, 5 LUG. 55059, Hubcap USED, 15", 03-07, HONDA, ACCORD, SILVER, 15 SPOKE, 5 LUG..
65783a, Used Rims, 17X6-1/2, 5 LUG, 4-1/2, 00-05, MITSUBISHI, ECLIPSE, CHARCOAL GREY POCKETS, 15 SPOKE, POLISHED, ALLOY. 8005, Hubcap used, 15", 01-05, DODGE, CARAVAN, SPARKLE SILVER 15 SPOKES, 5 SETS OF 3 SPOKE SPOKES, 5 SETS OF 3 SPOKES, EMBOSSED RAMS HEAD IN CENTER. 8005, Hubcap used, 15", 01-05, DODGE, CARAVAN, SPARKLE SILVER 15 SPOKES, 5 SETS OF 3 SPOKES, EMBOSSED RAMS HEAD IN CENTER. 5 LUG NUT HOLES, HELD ON BY LUG NUTS.